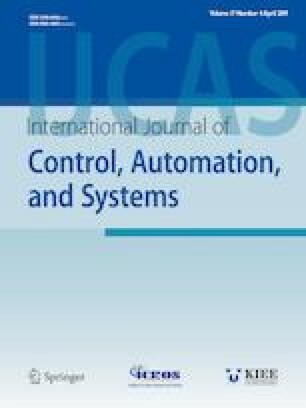 This paper studies the output feedback controller design problem for a class of interconnected systems with uncertain interconnections. First, the interval observers are built to guarantee the interval property between the system states and their estimations. Then, the state feedback controller is designed for each observer system other than output feedback controller for original system. A cyclic-small-gain condition is used to deal with the bound functions of the uncertain interconnections. The original closed-loop system is robust stable since that the interval properties are satisfied. The non-convex conditions caused by traditional observer-based output feedback are avoided by transforming the output to state feedback problem. Finally, the main results are demonstrated by numerical simulations. Recommended by Editor Jessie (Ju H.) Park. This work was supported in part by the Funds of the National Natural Science Foundation of China (Grant No. 61803274, 61803305), the National Key Research and Development Program of China (Grant No. 2016YFD0700104-2), the China Postdoctoral Science Foundation (Grant No. 2018M641710), and the Natural Science Foundation of Liaoning Province (Grant No. 20180540138). Zhi-Hui Zhang received the B.S. degree with Shenyang University of Chemical Technology, Shenyang, China, in 2011, the M.S. and Ph.D. degrees with Northeastern University, Shenyang, China, in 2013 and 2018, respectively. She is currently a postdoctoral fellow with the College of Information Science and Engineering, Shenyang University of Technology. Her current research interests include fault diagnosis, fault-tolerant control and robust control. Shujiang Li received the Ph.D. degree with Northeast University, Shenyang, China, in 1998. He was a research fellow with the Nayang Technological University, Singapore, from February 2001 to July 2004. He is currently a professor and the assistant dean with the College of Information Science and Engineering, Shenyang University of Technology. His research interests include intelligence control, optimization control of HVAC, measurement and control of agricultural environment facilities, intelligent control of tractor mounted boom sprayer. Hua Yan received her B.S. and M.S. degrees with Shenyang University of Technology, Shenyang, China, in 1985 and 1988, and her Ph.D. degree with Northeastern University, Shenyang, China, in 1999. She is currently a professor with the College of Information Science and Engineering, Shenyang University of Technology. Her main research focuses on detection technology based on tomography, signal processing, and virtual instrument.